RSS, which is an acronym that stands for Really Simple Syndication or Rich Site Summary, allows users to keep updated on frequently changing content. RSS employs an XML-based structure that includes a title, date, brief description, and a link to the full text of content. RSS can be used to automatically deliver lists, or feeds, of noteworthy content and descriptive information to users who subscribe to a feed. Feeds can be read through a program called a news reader or aggregator. How can I receive RSS feeds from OMG? 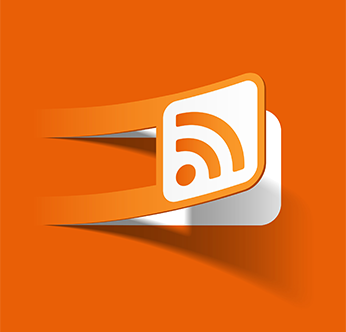 To begin receiving RSS feeds from OMG, you must first download and install a news reader or news aggregator that translates RSS code into a format that is easily under stood by users. Most browsers do not render RSS, instead they display the RSS code. Once you have downloaded and installed your news reader, the next step is to subscribe to a feed. Different news aggregators provide varying methods for subscribing to feeds, but the following instructions typically work for most readers. Click on "XML" button, or the accompanying link. Most browsers will display the XML source code. The URL of the feed will be displayed in your browser's address bar. Copy the URL into the "Add New Feed" portion of your news reader. The feed should now show up in your news reader. Your news reader is now configured to automatically display new updates to the feed. RSS is a free service offered by OMG for non-commercial use. Any other uses, including without limitation the incorporation of advertising into or the placement of advertising associated with or targeted towards the RSS Content, are strictly prohibited. You must use the RSS feeds as provided by OMG, and you may not edit or modify the text, content or links supplied by OMG. For web posting, reprint, transcript or licensing requests for OMG material, please send your request to info@omg.org. The RSS service may be used only with those platforms from which a functional link is made available that, when accessed, takes the viewer directly to the display of the full article on the OMG Site. You may not display the RSS Content in a manner that does not permit successful linking to, redirection to or delivery of the applicable OMG Site web page. You may not insert any intermediate page, splash page or other content between the RSS link and the applicable OMG Site web page. OMG retains all ownership and other rights in the RSS Content, and any and all OMG logos and trademarks used in connection with the RSS Service. You must provide attribution to the appropriate OMG website in connection with your use of the RSS feeds. If you provide this attribution using a graphic, you must use the appropriate OMG website's logo that we have incorporated into the RSS feed.